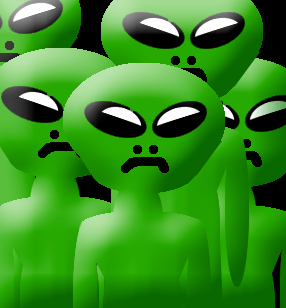 Will Little Green Men Save The World? I’m becoming increasingly interested in how dwindling stocks of fossil fuel, the economic expansion of some of the world’s most populous countries and concerns over the environmental impact of man-made CO2 are making people vulnerable to wild claims about miraculous energy sources. It’s not that these concerns aren’t valid; it’s that people would like a solution that allows ‘business as usual’. Unfortunately, life isn’t like that. Wishful thinking doesn’t make problems, or the laws of physics, go away. The Orion Project illustrates this trend nicely. It aims to, “support the research and development of new energy generation systems to benefit the environment, alleviate world poverty and decrease dependence on all forms of fossil fuels.” These are laudable objectives; they have even identified key ‘technologies’ that they think may fit the bill. To support these goals they are seeking to raise, via their “Breakthrough Campaign”, $3M in 60 days. They have suggested that this could be achieved by 1,000 people per day giving $50 each. This is mathematically possible, but is there anything in this project that merits 60,000 parting with their hard-earned cash? Unfortunately, to put it politely, this is wishful thinking. The only way to achieve this is by finding either a technology that is able either to break the laws of thermodynamics (usually the second law is the target! ), or exploit an unknown source of readily available energy. Essentially, it’s the quest for perpetual motion . 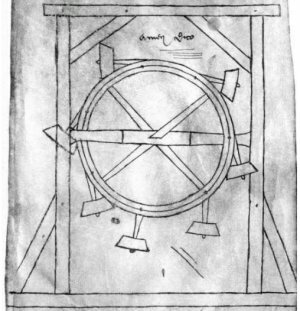 So, how likely is it that $3M will buy a perpetual motion machine? A good way to judge this is to reflect on history: for hundreds of years people have struggled to demonstrate perpetual motion; some say that the history of such attempts can be traced back to 1150AD when the Indian mathematician-astronomer, Bhāskara II, described a wheel that he claimed would run forever. Others date the beginning of this struggle to the 13th-century, with the work of Villard de Honnecourt, a French architect. That the struggle still continues is seen in the recent Steorn debacle and the hawking of an ‘over-unity’ water-heater around the UK media by Ecowatts. This history represents an (at least) 780 year research project which, at it’s core, requires the falsification of either the first or the second law of thermodynamics. It is also a long history of failure: not a single device has ever been demonstrated to produce more energy than is required to run it. It is also a history replete with misunderstanding, mismeasurement and outright fraud. So, what technologies have been identified to turn around this degenerate research programme? Their website identifies, “the most promising core technologies” as “Hydroxy Gas Energy Systems” and “Thermal Exchange motors“. A mixture of oxygen and hydrogen gasses could be used as a fuel; however, its production would require more input energy than can be recovered from burning it. Recent claims have centred on reducing the energy required to beak the O-H bond by inducing resonance using a microwave or RF signal. There is no reason to suppose that causing such resonance will lower the energy required to break the chemical bond and liberate more gasses than the input energy would normally allow. The underlying physics of such claims are highly dubious; as is demonstrated by the ‘Kanzius Effect’. In 2007 there was much press comment on an experiment by John Kanzius, a retired engineer. He reported being able to liberate a combustible gas by subjecting salt-water to an RF signal. Press comment seemed to indicate that this was be touted as a source of energy. A recent publication has ‘clarified’ this, “Some individuals within the science community could have been misled into thinking, possibly due to the tenor and enthusiasm of the TV announcer – that Kanzius had claimed that the effect … was generating more energy than that which was put into the system. No such claim has ever been made by him.” Neither does this paper make that claim, or present any data on the energy balance of the system (Credit to Philip Ball for keeping an eye on this topic). Finally, the fact that they feature the debunked and fraudulent work of Stanley Meyer on their website removes any credibility. Thermal Exchange motors are just heat pumps hooked up to motors. Heat pumps are extremely common devices and have a long history. Invented by Lord Kelvin in 1852, they are well understood devices. Essentially they are heat engines working in reverse. Where a heat engine moves heat from a hot ‘source’ to a cold ‘sink’ extracting a part of it as work in the process; a heat pump moves heat from a cold ‘source’ to a hot ‘sink’ requiring the input of energy. This can be a very effective process, for instance heat pumps can move as much as 4 – 5 times the energy they require to run (referred to as the Coefficient of Performance or COP). This tells us that as the temperature difference (TH – TC) between the two reservoirs increases, COP will decrease. Hence efficiency and efficacy are inversely related; a large temperature difference means that the maximum efficiency of the heat engine can be high (minimising the ratio TC/TH), but this reduces the amount of energy that can be moved relative to the energy input (lower COP). The thermodynamic bounds of this technology are clear: to win heat from the environment, energy must be invested. The maximum rate of return has clear bounds. Within these bounds, they certainly have their uses. The Orion Project seems to have their hopes pinned on using heat pumps to run engines. These will also be subject to the same thermodynamic limitations: there is no way that this scheme can deliver over-unity performance. Heat pumps may have a role to play in providing sustainable heating for homes, but they are not a panacea for world energy supply. If these are the best hopes for providing over-unity energy generation systems, this Project is doomed. Checking out the other suggested options confirms this impression; they have even less merit. The list includes “Quantum Vacuum (or Zero Point) Electromagnetic Generators”; these are just science fiction. Now, I like science fiction – but it’s for entertainment, not saving the world. Zero-point energy exists: it is the non-zero ground-state of quantum mechanical systems. This real energy represents the lowest energy state a system can have; therefore, by definition, it cannot be removed for use in improbable ‘free-energy’ devices. Hence, claims on the website that, “various inventors have achieved … ‘free environmental energy’ results” from this source are false: claims have been made, none have been substantiated. Claims concerning “Electrogravitic/Magnetogravitic Propulsion and Energy Systems” are the imaginings of UFO-conspiracy theorists. The claim on the website that, “electromagnetic frequency devices” can produce “‘lift’ [sic] and mass cancellation” resulting in viable flying machines place the whole endeavour in an appropriate context. The assertion that, “early Aerospace prototypes used only a 24-volt marine battery as a power-up system, after which the device went ‘over unity’, drawing its power from the Quantum Vacuum of space” requires no analysis: there is nothing to it. So, will I be one of the sixty-thousand people that Greer would like to give the Project $50? No, nothing here has any real merit; the more I look the less credibility The Orion Project has. The problems around energy and the environment are real and serious. What is required is real and serious suggestions; not wishful thinking, nebulous claims or hoping that the little green men will provide us with an answer. Perhaps we may have to stop using as much of it as we have become accustomed to? This entry was posted on March 23, 2008 at 21:05	and is filed under Impossibe Machines. Tagged: Bhāskara II, Ecowatts, Electrogravitic Energy Systems, free energy, John Kanzius, laws of thermodynamics, Magnetogravitic Energy Systems, perpetual motion, Quantum Vacuum Electromagnetic Generators, Stanley Meyer, Steorn, Steven M. Greer, The Orion Project, Villard de Honnecourt. You can follow any responses to this entry through the RSS 2.0 feed. Both comments and pings are currently closed.